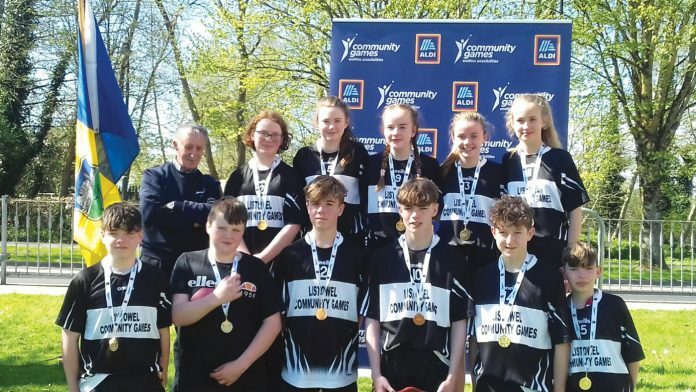 Huge congratulations to the Listowel Community Games boys and girls Badminton teams who represented Listowel last weekend in University of Limerick at the Community Games Munster finals. The girls met Clare in the final where they won 2-1. Making them Gold medal winning Munster Champions. The boys also met Clare in the semi finals winning 3 – 0. They then went on to win the final against Limerick 3-0, also making them Gold medal winners and Munster Champs. Girls: Madison Carter, Lily Harte, Ellie Ava Liston, Agata Niedzielska, Fiona O’Connor and Deina Vesko. 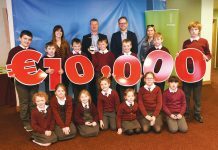 Huge thanks to Roly Chute, Norma Leane and all of the parents and supporters who travelled to UL. 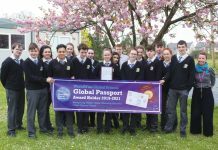 This is a massive achievement and the very best of luck at Nationals! !